The volatile cryptocurrency markets today offer the best opportunity to make a lot of money in relatively short time. But only for those who are able to trade in a professional strategic way. There is no way around learning how to trade for profit if you want to take that unique chance. One of the best ways to get a lot of knowledge in a short time is to read one or the other book about the topic. Books on professional cryptocurrency trading have the advantage that readers get a big chunk of knowledge in a well structured and compressed way, so they get an idea of all important aspects of profitable Bitcoin and altcoin trading in a focused state of mind. Another good thing about books is that you can highlight or bookmark important sides or paragraphs to easily recall the specific content. And they are handy, especially physical books, but also ebooks, since they only require little storage space and can be read offline. Among all the material our team once used to learn cryptocurrency trading, books were especially important. There are a lot of things we wouldn’t have understood so easily or in-depth without reading written content. So let’s have a look at all the crypto trading books out there an let us show you which one we consider the best book on cryptocurrency trading for beginners and why that is, in comparison with the other ones. There are a lot of books on cryptocurrency in general out there, but few focus on the niche of trading Bitcoin and Altcoins for profit. 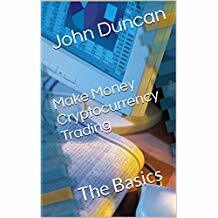 The following list presents 10 books / ebooks / kindle books on how to make money with trading digital tokens, including short descriptions and critical comments. 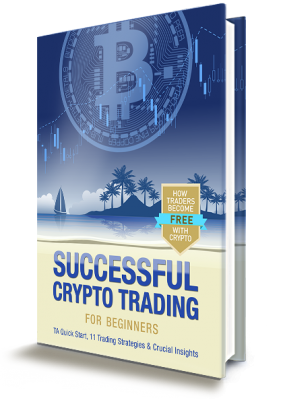 This ebook’s content is based on research what trading beginners would expect from the best book on cryptocurrency trading. It literally contains every aspect of crypto trading a total beginners needs to know in order to start trading for profit very soon. The book’s core is the big part about technical analysis and the 10 trading strategies. The book’s claim is to deliver plain information about trading for profit without all the distracting general explanations what cryptocurrencies are etc. The target group are people who want to learn trading crypto for profit, with a clear focus on that. Readers should already know the bascis what Bitcoin is and maybe even already own some BTC, so they can start trading as soon as they feel prepared through professional trading knowledge. The book has undoubtedly the best and most vivid chart graphics of all crypto trading books we know. Also the entire design is the most professional and well done on the market. That looks like the reason why it’s not available for kindle, since the kindle format wouldn’t allow this quality of book design. The price might look relatively high for an ebook, but regarding the content it’s more than worth every penny – especially since readers get even more than the ebook, like two helpful bonus files and they stay in the underlying community that sends helpful trading emails to accompany the development of the reader. People who are not convinced right away can first download an extract of the ebook for free, which is the “crypto breakout strategy” on this page. 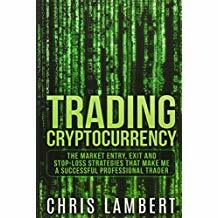 This book is a in-depth guide to financial trading in general, however it is not specifically related to crypto. 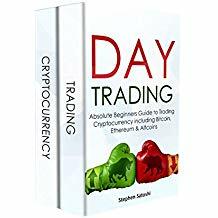 But as the priciples are the same when it comes to Technical Analysis, trading techniques and what influences price movements, the book is a good hint for people to get in to the field of professional trading, be it stocks, Forex or even crypto. For crypto trading beginners it’s best to read additional content which is especially related to crypto markets. This book starts with explaining cryptocurrencies in general, so if you’re entirely new to the field you’ll get a basic understanding what this new technology is about. Readers also learn how to approach a fundamental analysis of an altcoin (other cryptocurrencies besides Bitcoin) and how to analyze price charts technically. One drawback of this book is that the content is written in relatively poor language which means that it’s obviously not written by a native speaker – which doesn’t necessarily have to lead to a poor result – but it seems they had no proofreading so a peculiar use of language persists in this book. 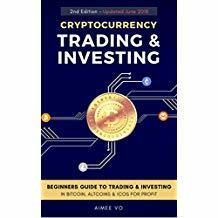 In this book you’ll find a lot of content about cryptocurrencies in general, what this technology is about, how to set up a Bitcoin wallet and how and where to buy Bitcoin. It contains a bit of trading theorie with an approach to building a reasonable crypto portfolio. Also ICO investing and margin trading are covered. However, all information is very basic, not in-depth. So it suits best for people who have never heard anything about all those topics before, otherwise you will be disappointed and search for something with more professional trading insights. Mainly It’s like a how-to-guide for beginners who need to see screenshots of how to perform things like buying Bitcoin, setting up a wallet etc. 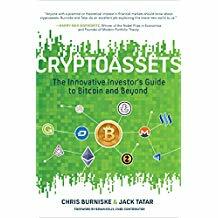 This book explores the filed of cryptocurrencies in general as an investment and offers explanations what this industry is about as well as why those virtual tokens can be seen as a new type of financial asset. The authors show a lot of historical data as educational material about financial markets as well as practical guides to crypto wallets, exchanges and ICOs. Investing in cryptocurrencies is also covered, with a framework for investigating and valuing altcoins. However, one big point of criticism to the book is that although the content might be interesting in general, it’s a very surface exposition of the the underlying topics. 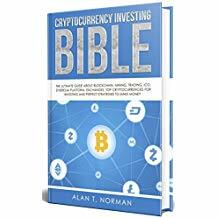 At best this book can give a general understanding of cryptocurrencies and investments for people who are entirely new to all of this. 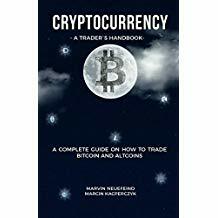 This book is a short exploration of the subject matter, with tips about how to spot altcoins with growth potential, where to find information about altcoins online and and some tips like where to start as a trader and what to avoid. As the book is relatively short, the compact content cannot offer more than a surface exposition of altcoin trading. People who already have some trading experience will rate the book’s content as true, since they find basic trading information in it they already know. But even total beginners won’t be satisfied since they will need more information. Also, the price is very high for what the book offers. This book provides an overview of mining, trading, ICOs, etc. Readers will get some investment strategies along with their pros and cons. An absolute beginners gets a general understanding of the field of crypto trading, but without any in-depth information. The quality of many of the graphs is quite poor, so it’s hard to learn anything from them. 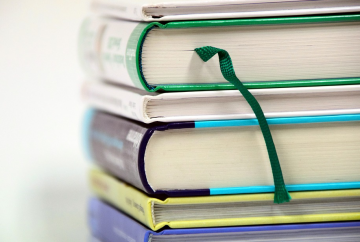 Many readers don’t like the book’s quality in general, concerning the language, the images, as said, and the wide letter spacing which looks like the author tried to artificially inflate the content to gain more pages. This book again provides general explanations for beginners to get into the field of cryptocurrency. However, trading itself isn’t really covered in this book, like technical analysis and trading strategies. That’s why it won’t be enough for absolute beginners who seek more in-depth information about how to start trading for profit. The price is quite high for the very basic investing and trading content. 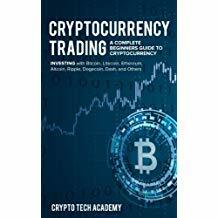 In this book newbies will find most major topics regarding crypto trading. However, there is not much about trading strategies in it, just the basics of technical analysis and some trading tips. All in all the content is quite shallow and blown up by large spacing between the paragraphs. 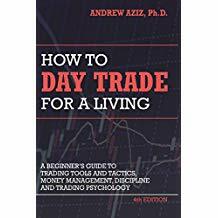 This book is quite short and just focuses on explaining a couple of chart patterns and how the author uses them for his trading decisions. The content is not very deep meaning the few chart pattern trading examples are treated briefly and superficially. The reader gets a rough idea of how trading strategies can work in general, but all in all there are way better books to get into the crypto trading field.